Apostles have the ability to forge into new territory and take the Gospel of the Kingdom to unreached areas and unreached people (Romans 15:20). As an “architect” an apostle designs and lays foundations for new churches. They want these new foundations to be built on Jesus Christ and His Word rather than human tradition and opinions. Paul was commissioned by the Lord and by other apostles in the early Church to build and to plant churches among the Gentiles. Peter was commissioned by the Lord to build and to plant churches among the Jews (Galatians 2:8). It seems that the authority of an apostle changed in nature once a local church was established and had the oversight of local elders. For example, Paul took on the role of a father whose authority diminished once his spiritual sons or daughters reached adulthood. An apostolic team exists for two reasons – to serve Jesus Christ and to serve local church leaders. If an apostle stops doing either of these two things, they have lost their reason for existence. A true apostle has those who say, “If it were not for this person, I would not be successful in ministry.” In 1 Corinthians 9:2, Paul told the Corinthians, “You are the seal of my apostleship.” In other words, they were proof to the world that he had an apostolic gift functioning in his life because of the spiritual fruit of his labours among them. Training leaders is an important apostolic function. When Paul and Barnabas made their second visit to Lystra, Iconium, and Antioch, they ordained elders in each church (Acts 14:21-23). Appointing leaders of local churches should be the job of apostles working with the local leadership teams rather than a matter of congregational voting or other selection. Local churches often encounter problems that need outside assistance. Local leaders sometimes have blind spots that need the apostolic ability to break through the blindness and speak God’s Word to areas of imbalance or division or other problems. Paul’s first letter to the Corinthians illustrates his ability to use his apostolic authority to speak to the problems in the church. Let’s look at modern day apostles … I believe that God is raising up many modern day apostles in every nation of the world today. These men love the Church and serve as fathers in the body of Christ. These apostles have a desire to train and equip young people, and raise up church leaders to come to maturity, to release them, and then move on to plant another church. Their greatest joy is to reproduce themselves in their spiritual children as they parent them to adulthood. Apostles are spiritual entrepreneurs who love change and relish finding new ways of doing things. They are always coming up with new concepts and new patterns. They are willing to take chances, and at the same time willing to change. They are not satisfied with “the way things are” but burn with a greater vision of the Church that Jesus is building. They “prepare God’s people for the work of service [ministry]” (Ephesians 4:11-13) as they are sent out wth an apostolic anointing that flows through them to “send” every believer. The word ‘apostle’ comes from the Greek word ‘apostolos’ which is translated “sent one” and carries the understanding that the one being sent has the full power and authority of the One sending him. He is sent by God with a mandate from the Lord Jesus to build, plant, nurture, correct, and over see His Church. Apostles are called “wise master builders or spiritual architects” (1 Corinthians 3:10). They are foundation layers (Ephesians 2:20; 1 Corinthians 12:28-29). They have a desire to build something that did not exist before. The gift of apostle often develops over a period of years. An individual may begin in ministry in one of the other gifts – teacher or pastor, for example. During this time, his ministry is developed and proven with further gifts that may become evident along the way. An apostle understands ministry from long, personal experience. With Paul, there was a 17 year period between his conversion and commissioning to be an apostle. Paul was acknowledged by the other apostles after there was considerable evidence to show that he was doing the work of the ministry in obedience to God’s call. An apostle is not self-appointed. He is chosen by the Lord Himself. There is no such thing as a true apostle who is self-appointed. God is the one who decides to whom He wishes to give the spiritual gift, calling, and role of apostle. An apostle’s greatest responsibility is to the Lord who has called him. However, his call must be affirmed by those whom the Lord brings to him, by other apostles, and by spiritual leaders in the Body of Christ. An apostolic calling does not automatically mean that the apostle has the right to exercise authority. His authority is by invitation. The church leaders who look to him for apostolic oversight invite him into their realm. He apostleship is proven over time, and they trust his authority and leadership. Remember, apostles are foundation layers and releasers. Their goal is to see the local church succeed. They are not into controlling leaders; their ministry is one of giving advice that will lead to success. It is a ministry based upon relationship and exercised within a sphere of influence. In this manner the ministry of an apostle is evidenced by his call from the Lord, the commissioning of the local church, the leaders of his family of churches and the affirmation of other leaders within the Body of Christ. Apostles help strengthen the local leadership. Let’s start to look at the work of an apostle within the fivefold ministry team of apostle, prophet, evangelist, pastor and teacher (Ephesians 4:11). An apostle is a new gift on the scenes. The ministry of the evangelist, pastor, and teacher are widely accepted. The ministry of the prophet is often misunderstood but the role of a prophet and that prophets exist still today is now fairly widely received. However, the Holy Spirit has just begun, in the last 15 to 20 years, to reintroduce the role and ministry of the apostle to the Church in general. Some have accepted that there are modern day apostles and did so decades ago. And, slowly, over the last decade or more, this ministry has received further recognition. In many ways it is still misunderstood – but, at least, it is being recognized and discussed more than ever before. Some say that the gift of the ministry of the apostle ended many centuries ago. This view mistakenly assumes that the role of the apostle was limited to the original twelve apostles chosen by Jesus. A careful reading of the New Testament will show otherwise. let’s take a look at the evidence. The first apostles were prepared and sent out personally by Jesus. They were the twelve apostles who were unique eye-witnesses of the risen Lord and His ascension. (Acts 1:15, 4:33, Revelation 21:14) They had been trained by Jesus for the task and were chosen by Jesus to represent Him. These apostles were trained and sent out by the Church. In other words, they studied and repeated what the first apostles taught. Jesus predicted that this would happen: He told the first twelve apostles, “…if they obeyed My teaching, they will obey yours also” (John 15:20b). 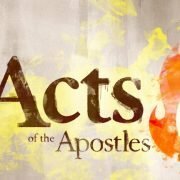 Tracing the steps of the apostles in the New Testament gives modern day apostles a biblical pattern to follow so as to carry out their ministries. The first twelve apostles seem to have worked out of Jerusalem for several years, devoting their time to evangelizing the lost and teaching the new believers and occasionally taking short apostolic trips to plant the Gospel in other places and to visit churches that were being established. By the time that Paul arrived in Jerusalem, however, the first apostles seem to have left with only James remaining. It seems apparent that after the first initial years in Jerusalem, most of the first apostles moved around as itinerate leaders, stopping to preach the Gospel of the Kingdom and organize churches and then continuing on to new locations. Paul spent some time in Corinth, Ephesus, and Rome. He instructed Timothy to “stay in Ephesus so that [he] might command certain men not to teach false doctrines any longer” (1 Timothy 1:3). After that job was finished Paul told him to “do your best to get here before winter” (2 Timothy 4:21). Similarly, Titus was left in Crete to “straighten out what was left unfinished and to appoint elders in every town” (Titus 1:5). After this was completed, Titus joined Paul at Nicopolis” (Titus 3:12). Apostles have always been foundation layers (Ephesians 2:20). They are spiritual fathers to the churches and young leaders. They are parenting-type figures who have the ability to attract and birth other leaders. They are master builders who have a strong passion to see the Church built on the right foundations. They are servants of the Church, who are sent out by the Church to evangelize and to plant new churches, thus having an itinerant ministry as they often exercise general leadership and spiritual oversight over a group of churches that relate to them. We are looking at the goals of a fivefold ministry team. 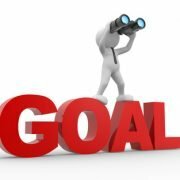 Today we are looking at the last two goals of a fivefold minister. A fivefold minister is a CATALYST. A fivefold minister has no desire to do all the ministry himself. His desire is to see others trained and equipped and released for the work of ministry. He enjoys watching others growing in God. He thrives on preparing others so that they, too, are able to minister to those around them on a daily basis. Fivefold ministers have a passion to see individuals take the Gospel of the Kingdom to the people. Their goal is not just to draw people around them, but to equip people who are around them and send them out into their own local communities and neighbourhoods to minister to their family, friends, neighbours and people in their workplace. A fivefold minister is not out to build his own ministry; he wants to build the Body of Christ, equipping the saints for the work of the ministry. In so doing, his ministry will be built, and he will experience the opportunity of being a catalyst in the lives of others. And, lastly, fivefold ministers MODEL MINISTRY. Sometimes fivefold ministers think they have grown beyond actually doing ministry and now they should just be involved in equipping or training others for ministry. Although fivefold ministers have to job of equipping the saints for ministry, they also continue to model ministry themselves. For example, evangelists should not be content to tell other people, in the local church setting, how to evangelize; they should also be actively involved in bringing people to Jesus in their day-to-day life. In this way, they are modelling evangelistic ministry. We normally think of the fivefold gifts as ones to be used to help believers, but fivefold ministers who model ministry in their daily lives will reach out to nonbelievers with their gifts. When you really think about it, wouldn’t it be more important to tell the nonbeliever who sits beside us on an airplane what God has to say to him (prophesy over him) than the person in the church who hears God on a regular basis? God gave us these gifts to bring others into the Kingdom. Fivefold ministers should be actively using their gifts to minister to those who do not know Him. Modelling ministry is just as important as teaching methodology or theology. Jesus not only taught His disciples what to do, He showed them how to do it. A fivefold minister is not just concerned with your salvation, he is concerned that you obtain your full potential in God. And the only way that you will realize your potential is by being conformed to the Word. Fivefold ministers ground us in the Word so that we are not tossed to and fro by every wind of doctrine. The Word of the Lord is their plumb line, and they minister from that base of authority. They desire not only that we would be conformed to Jesus but that the Word of God be formed in us, so that the situation and circumstances in life do not spin us out of control. Their goal is that we are grounded in the Word, ready to speak against every false doctrine, not easily fooled by cunning demonic or fleshly thoughts or ideas, growing and maturing in our relationship with Jesus and each other. For a fivefold minister, there is never a question whether the Word is relevant. It is as relevant today as it was the day it was written. The fivefold minister’s desire is that the Word would take preeminence in our lives and that our lives would be reconciled to the Word and the Author of it. Fivefold ministers are able to teach and preach with authority. They know who they are in Christ, and they know and understand the Word of God. They know the authority of the Word of God and are able to stand on it allowing the Word to speak for itself. Their goal is to bring the Church to maturity because a mature Church is a strong Church. Another task of the fivefold minister is PREPARATION. Fivefold ministers have the goal of bringing us to the “measure of the stature which belongs to the fullness of Christ.” Their goal is to prepare us for ministry. To equip us. When fivefold ministers contribute their gifts, believers receive an impartation so each one can be better equipped to fulfill God’s call on his or her life. The heart and desire of the fivefold minister is to expand the ministry of others. When they are ministering and see that the people are being changed and transformed, they become excited, even ecstatic. As a fivefold minister, my greatest desire is that people would grasp the same revelations that the Lord has given to me. When people grab hold of the revelation I am pumped spiritually. Fivefold ministers love to see people growing and maturing in the Lord. It is what makes them tick. We want to see ourselves multiplied. Jesus was excited to leave Earth because He knew that the Comforter (the Holy Spirit) would come and reside in the hearts and lives of men multiplying His ministry. A fivefold minister’s desire is to see others growing up into their full potential prepared for life and all the circumstances that come their way. Jesus was never shaken by life circumstances but used every circumstance in life as an opportunity to minister God’s heart and bring about change. And, so can we are we are prepared for life by the fivefold ministers God has placed in our church and life. This is also the desire of every fivefold minister. Another task of the fivefold minister is to bring CONFORMATION to the Body of Christ. Jesus was faced with just about every situation known to man, and He was able to deal with these issues in a redemptive way. Fivefold ministers help believers become conformed to Christ, so they begin to grasp how to handle life circumstances and situations in a manner that will build the Kingdom. Fivefold ministers have the ability to speak in a way that brings the Lord’s conviction to us, as believers, exposing areas in our lives where we are not conformed to the One who made us. They do it in a way that encourages us and causes us to desire change. Christ’s desire and goal is that we all are conformed to Him. Sometimes people never reach their full potential because they refuse to deal with issues in their lives. Take Moses for an example. Did Moses fulfill his God-given destiny? No! Although he was ordained of the Lord to take the children of Israel into the promised land, he was unable to do so because he refused to deal with anger in his life. He was only allowed to look into the promised land from the mountain; he was not able to fulfill his God-given call. God tried to deal with his anger on a number of occasions, even taking him away for 40 years to the desert. Even so, Moses’ anger remained an area in which he struggled and refused to completely relinquish to God. He didn’t lose favour with God, but he certainly didn’t fulfill all that the Lord had planned for him to do. Our sin usually does not keep the Lord from using us. Sin is not hard for the Lord to deal with. In fact, He dealt with our sin once and for all on the cross. The thing that most hinders us from fulfilling our destiny in God is our own unwillingness to deal with the issues in our lives – if you will – our independence. Instead of allowing the Lord to come into our lives and facing our sin head-on, we hold Him at arm’s length hoping that we can fix it ourselves. “After all, this little sin will not keep me out of heaven,” we tell ourselves. Fivefold ministers help us to deal with those things in our hearts that hold us back, so our hearts turn afresh to the Lord. They help us to reach a new level of maturity, as we conform to Christ, so we can become fully equipped to handle any situation in life and in our ministry. So, another task of the fivefold minister is to bring CONFORMATION to the Body of Christ. The next goal of the fivefold minister after encouragement and edification is UNIFICATION. His task is to bring the Body of Christ “to the unity of the faith” according to Ephesians 4:13. In today’s Church, various Church doctrines differ and are presented in a way that often lead to division. The fivefold ministers have the assignment of bringing the Church to a unity of faith in the midst of this apparent lack of unity. The fivefold ministers are Kingdom-minded individuals looking for areas that we can agree on rather than areas that bring disunity. We may have strong beliefs and they may be, in our minds, firmly rooted in a proper understanding of biblical truth. However, we must be sensitive to others and aware that their different beliefs and understanding regarding these truths differ from ours and are yet, in their minds, biblically verifiable as well. As I travel extensively in numerous countries I constantly meet new people at the various churches where I am speaking and ministering. Within the first few minutes of talking to a leader, I can usually discern some issues that I instantly realize will separate us or issues we can agree upon. I try to focus on things that bring us together. After trust is built, we can then, maybe, explore those ambiguous areas, but always in the context of learning from each each other, not to have a debate to prove that I am right. Some of the issues are: Women in ministry, The gifts of the Holy Spirit, Speaking in tongues as the initial sign of the Baptism in the Spirit, solo pastoral leadership, team leadership, the way a church should be organized and governed, and the ministry of apostles and prophets today. Depending on location, the list changes and can grow. I try to deal with issues that really need to be dealt with: the unsaved, discipleship, prayer, worship, the Kingdom, and the body of Christ in the world today. Fivefold ministers must be mindful of the larger picture that not all Christians interpret the Bible exactly alike. This may seem like an impossible task, but it can be done through Christ as He works through the Holy Spirit in the lives of believes in churches of various theologies. Yes, fivefold ministers have non-negotiable, but they also have the rest of the body in mind and try to “major on the major things” and not get snagged on the little things that so easily divide the body of Christ. As Christians, we are exhorted to “keep the unity of the brethren” (Ephesians 4:3). I think what Paul is saying here is that we have unity in Christ when we get saved, and we should not allow put own petty ideology to bring disunity. While the fivefold minister’s purpose is one of EQUIPPING the saints for the work of the ministry (Ephesians 4:11-15) and ENCOURAGING the Body of Christ, how he accomplishes these goals are much broader. His goal is to EDIFY the Body, UNIFY the Body, see the Body CONFORMED to the image of Christ, reconciling the Body to the Word of God and preparing every believer to fulfill his God-given ministry and overall destiny and call that is upon their lives. The first Goal is EDIFICATION. Overall, the ministry of the fivefold is one of edification to the Body of Christ. Fivefold mindsets are encouragers. They love people and desire to see them obtain all that the the Lord is calling them to be and then to do. Character first and then ministry. They want to see the believers encouraged and walking in fullness and in victory over the world, the flesh, and the devil. Probably one of the most discouraging aspects for a fivefold minister is to see people with great potential settling for a good deal less. I have personally identified those with tremendous gifts, but they are only fulfilling a minute portion of what I believe the Lord has called them to accomplish with their life and ministry. Sometimes it is a matter of fully surrounding themselves to the Lord’s plan for their lives. Other times, they refuse to deal with troubling issues in their lives or they are discouraged with life. A fivefold minister will encourage people like this to press on. The Bible advises us to encourage one another daily. Have you ever wondered why the author of the Book of Hebrews tells us to do that? It is because we can easily get discouraged. The enemy is always trying to undermine Christians because if he can dishearten them, he can keep them from fulfilling their destiny. A fivefold minister will encourage people so that they do not become hardened in sin or settle for second best. Encouragement just flows out of them. They are optimistic because they have the heart of Jesus in them. They believe the best and encourage people to give their best. I personally like to interact with fivefold ministers because I am encouraged by them. A true evangelist makes me feel like I can evangelize; a prophet gives me courage to press on; a pastor reaffirms Christ’s love for me and helps me to know that I am going to make it. An apostle stirs my quest for life, and a teacher motivates me to dig into the Word for fresh revelation from the Holy Spirit. This then is the first goal of all fivefold ministers – to encourage the Body of Christ and individual believers. We have been looking at how a fivefold minister develops and receives or gains recognition by the leaders of the church and then the network of churches to which he is connected and where he ministers. The fivefold minister first develops relationships with local leaders in his home church where he is being discipled, trained, equipped, and, most importantly, mentored. Here the focus is not just on the gifts and his calling but his character and social / relational skills. As his ministry becomes recognized within the local church he is then publicly recognized as a fivefold minister (in-training) and released to minister locally, under the authority of the local leaders. Accountable to them as well. Then as his gifts develop and his skills in using these gifts increases he will find himself ministering to other churches within the family of churches – a network or a union of churches. He is still accountable on the local level but his range of experiences will be greater and his skills, both ministry-wise and relationally / socially, will be developing and maturing. At this level he will be invited to churches and ministries within the family where he is becoming known and may even work a little bit outside of the union in other churches as well as in the secular world as doors open for him and his calling. The third level of ministry recognition is the whole body of Christ. To be released in this sphere, a trans-local fivefold minister must carry the affirmation of the overseers of the family of churches as well as other trans-local fivefold ministers in the body of Christ. The network of church leaders realize that Mark (our example from the other day) has further matured. A leader outside the church family usually affirms this. Mark is now at a place where he has matured enough to be used throughout the church body, across “family” church lines. During this time Mark will probably develop his own ministry name and have a team around him – one that has developed a deep trust and respect for him, that love him, and supports him so that his ministry is fruitful. He may have developed, by this time, a group of advisors who can speak into his life and ministry. He should have also developed a group of people who are committed to praying for him, his family, and his ministry. Accountability for the ministry goes back to the leadership team of the network of churches that commissioned him. Accountability for his family still resides within the local church of which he is a vital part. His sphere of ministry now extends to the body of Christ, and he carries within himself the character, authority, and signs that are recognized by the larger sphere, namely the Body of Christ at large, but he is still connected to the local church. others. The small group if your church has cell groups (or the house church if you are in a house church network) is a safe environment for ministry. It is the place to learn how to use gifts and become better equipped in ministering to others. The small group or house church (and they are different things) is basic ministry training for all fivefold ministers. 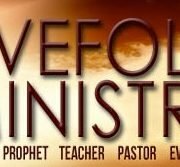 Today, let’s look at the different levels of fivefold ministry… All the fivefold gifts and ministers have a sphere of authority within which they must minister. This is determined by the geographical boundaries the Holy Spirit has set for them within which they are to function. But, also, based on relationships that the fivefold minister has cultivated. All ministry arises out of relationships – with God and with other leaders. So, we see three basic levels of fivefold ministry … Some are local, some are national, and some are international. Here is how it works. Let’s say the church leaders notice that Mark is speaking God’s thoughts prophetically. They watch him closely for a number of months and observe that he meets the qualifications and requirements as set out in the Bible and has a true heart to see people equipped, trained, and released to minister. The leadership team then communicates with Mark what they are sensing, and both Mark and his wife acknowledge his gift and growing ministry. After further training, equipping and relationship building the team then brings Mark before the congregation affirming his gift. Consequently, Mark receives a stamp of approval from the leadership team to travel freely throughout the congregation and small groups ministering in his prophetic gift. Mark’s accountability, for his family and for the ministry is to the local leadership team, because they are the ones who released him. If Mark makes a mistake in ministry, the local leadership team has the authority, the relationship, and the anointing to bring corrections and adjustment to Mark. The confirmation of the person with the prophetic ministry is a sign of mutual accountability between the church and its chosen representative. Family (Network) of churches – – This is the next sphere of development for a gifted person – say ministering prophetically but possible also having the call of a prophet on his life. They are discipled and mentored by other prophets and apostles until y are ready to be released as a prophet within the fivefold ministry. When a local leadership team discerns that the gift, anointing, and calling of an individual has grown beyond the scope of the local congregation, they recommend him to the next level of authority (the apostolic leadership team of their family or network of churches), to be commissioned and released as a trans-local minister. The term trans-local refers to a fivefold minister who has the authority to travel from congregation to congregation in a specific network of churches to train, equip, and release the saints for the work of the ministry. The local church leaders, under the direction of the apostle, would then contact the leadership team of the network so they too could enter in to the discernment process to see if Mark is ready and the timing is right. Once affirmed, they would commission Mark as a prophet in their network of churches and connect with the leaders of the individual churches within the network, sharing what the local and network team have done. He now has the stamp of approval to travel freely throughout the family of churches ministering prophetically and as a prophet. Accountability for his ministry is provided by the leadership team of the network of churches that commissioned him. Accountability for his family primarily comes from the local church, where he is an active member and vital part of church life. If Mark makes a mistake in ministry in one of the network churches, it is the leadership team of the network of churches that has the responsibility to deal with the problem. They were the ones who released him to minister in the network and acknowledged his calling as a prophet. If a network of churches is an international family, then it is best to have fivefold ministers released in geographical regions who are accountable to regional leadership. In some cases these regions are nations or a group of nations depending on how the regions are established. So, if you belonged to the Canadian team or a regional team within Canada and were ministering in Africa. And, an issue arose while you were ministering. You would be accountable to and corrected by the Canadian regional team to which you belong. You are always accountable to the regional fivefold ministry team that released you nd with whom you have deep and personal relationships. This retains and protects the needed relational aspect.